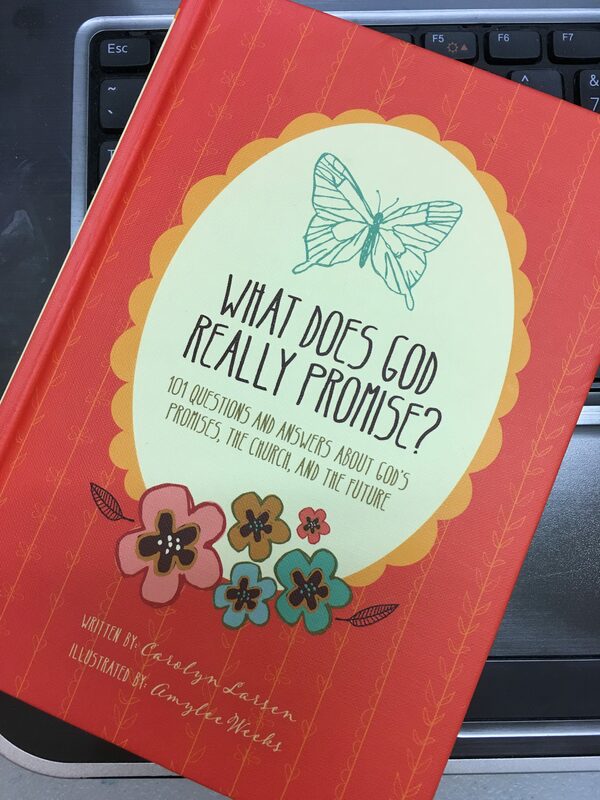 “What Does God Really Promise” by Carolyn Larsen and illustrated by Amylee Weeks is a simple introduction and explanation on some of the foundational promises of God found in Scripture. In the book you will find 101 questions and answers regarding God’s promises, the purpose of the church and regarding the future. This book is laid out simply, and could be used for a daily devotion for families, for young people or for new believers. Thinking ahead to working in children’s ministry I think a book like this could be used as a springboard for additional conversations, and answers to deeper questions that kids so often bring up. This is a new book from the Tyndale House Publishers. Check here for more information or to purchase a copy of the book for yourself, a young person, or your church library. Thanks to Tyndale House Publishers for providing me with a complimentary copy of this book.